Today we go back in time to fight some old battles of World War II. I have this historical piece by Vladimir Veretennikov, who lives in Latvia and writes about Latvian-Russian historical themes. Today’s topic is the very ugly one of a Nazi concentration camp that became notorious for its harsh treatment of children: Salaspils was the place where Jewish children were subjected to involuntary “blood donations” to help Nazi troops in need of transfusions. And, by the way, any time anybody anywhere believes that they have plumbed to the depths of what the Nazis were capable of, then they need to plumb several more levels of Inferno! Veretennikov’s piece is not so much about that old Nazi history, as about the way the Holocaust is handled in modern-day Latvia. Readers of the Russophile blogosphere will not be surprised to learn, that a great effort is underway, primarily in Eastern Europe, to rewrite that old movie World War II with the Nazis as the good guys this time around. In their efforts to debunk Soviet “propaganda” about the Nazi crimes, the revisionists are assisted, sometimes, by the very ham-fisted nature of Soviet propaganda itself. 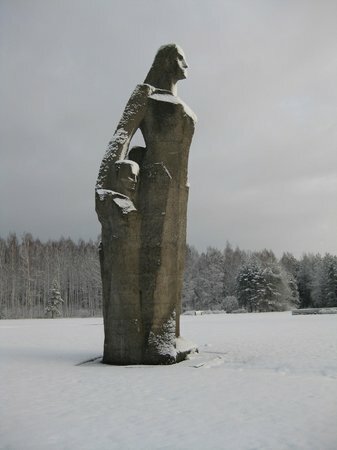 For example, the Soviets did not know any other way to express their grief and outrage at what done, than to build massive stone monuments all over Eastern Europe. Often there is a proud brave woman comforting children. Or a handsome and brave soldier defending children, etc. Some of which statuary are true works of art; others not so much. But whether well-crafted or not, the Soviet-era statuary invariably irritates the locals, who see them (rightfully) as an indictment of their ancestors. A more serious accusation against Soviet post-war propaganda is a certain vagueness about actual numbers. Veretennikov addresses this issue in his piece, as we shall see below. Like, how many children actually died at Salaspils? Was it a million? Or more like a thousand? 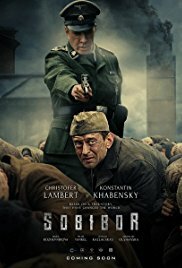 While it is true that the Soviet historians and propagandists could have been a little more dryly factual and a little less emotional, it is also true that the Soviet government (in the post-war era) had a very good reason for glossing over some of the actual horrors of the Nazi occupation: It’s because many of the Nazi collaborators were now Soviet citizens settling down and raising families. Everybody wanted peace, and nobody wanted to open old wounds. Same deal with the Banderites in the Ukraine: Even Stalin handled them with kid gloves. And for the same reason. Sometimes it was easier to just let bygones be bygones. Except that, 75 years later, the “bygones” are back — with a vengeance! You know what people say about chickens: They always come home to roost. The reporter begins his story, 300 inmates were shot at Salaspils in a single day — as a warning to the others. One of the executed men was an elderly construction engineer named Karl Feldmanis, who led an underground cell in the camp. His comrades in the cell included a Latvian named Valdemar Meltis, a Russian named Konstantin Strelchik, an Estonian named Richard Veske, and others. 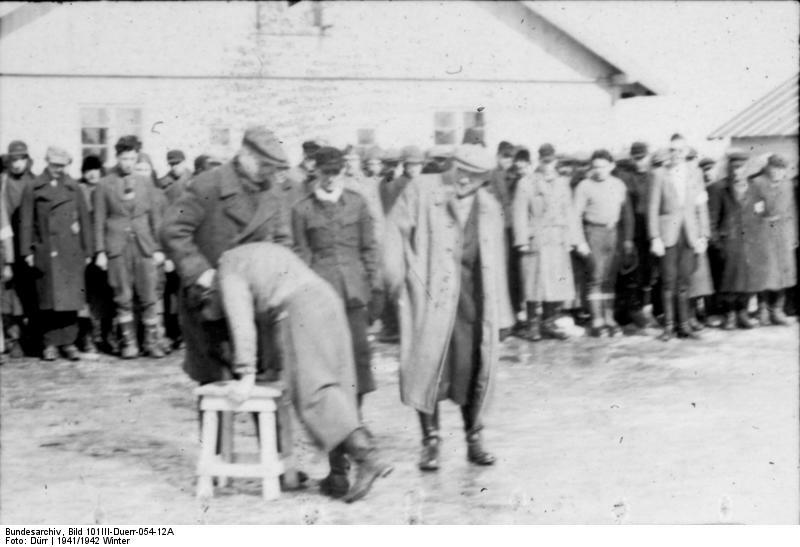 A Salaspils detainee is punished in public. The plan actually sounds like a good one: Without the Red Army approaching, any attempt at escape would just be suicide. But if the Reds truly were approaching and the prisoners were to manage a mass uprising and exodus like Sobibor, then … well, it was feasible that at least some of them might have been able to escape and survive, especially if they made contact with the Red Army. Unfortunately, things went terribly wrong before it got to that point. Feldmanis himself may have been the one who screwed up. Feldmanis had access to the office of Magnus Kacherovsky in the camp administration. Magnus had a radio in his office. One day when Magnus was out and about, Feldmanis (who sounds sometimes like a real-life Stierlitz!) was able to turn the radio on and listen to some news from Moscow. Where he heard that things were not going terribly well for the Hitlerites. It was necessary for the plan to know, or estimate, when the Army would be nearby. Unfortunately, Kacherovsky one day caught Feldmanis listening to his radio. That was the end for Feldmanis as well as the others. The cell was broken up — some people suspect there may have been a Gestapo mole inside the cell anyhow. Which, if true, would have made it all moot. A hundred members of the cell were shot, and their bloody clothes, pierced with bullet holes, were returned to other prisoners to wash and patch up, for the next batch of arrivals. See, it’s funny when Colonel Hogan sneaks into Colonel Klink’s office to listen to his radio, but not so funny in real life when all these brave men actually got shot and killed by the despicable real-life Nazis. Next: What about the Salaspils children? This entry was posted in Friendship of Peoples, Human Dignity, Russian History, True Crime and tagged Karl Feldmanis, Konstantin Strelchik, Magnus Kacherovsky, Richard Veske, Salaspils, Valdemar Meltis. Bookmark the permalink.